The University of Manchester has announced an ambitious £1 billion plan that will see the construction of a world-class campus and pave the way for new trade jobs. The Estates Master Plan, which was approved by the University’s Board of Governors last week, will create a single campus which will involve the construction of teaching and research buildings as well as new student facilities. The first phase of the plan, costing around £700 million, will be delivered over the next six years and will throw a lifeline to the building industry and boost the trades. Plans include building of a new engineering campus, new centres for the school of law and Manchester Business School, a major refurbishment of the university library, a bigger students’ union and new medical school. Outline plans have been drawn up for a second phase which is expected to cost a further £300 million and is set to begin in 2018. The second phase of the plan would create a Biomedical Campus around the existing Stopford Building along with other major developments for staff and students, including refurbishments in the Schools of Computer Science. 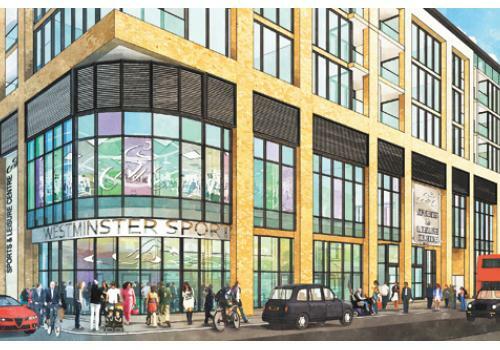 Plans to deliver a £17 million multi-use leisure centre for Queens Park residents in London have been given the go-ahead by Westminster City Council. The scheme, which has cross value of £60 million, will see the building of 120 new homes developed by Regen on two sites within 0.6 miles of each other. The new sport centre will be located on the existing Moberly site will be developed at no cost to the taxpayer. It will be funded by a private developer, Willmott Dixon, in exchange for building residential properties on both sites. The Council is expected to benefit from uplift in sales values of the homes during construction which will create new jobs and boost the trades industry. This type of land arrangement is set to become more widespread as councils look for innovative funding methods from private sector developers to unlock value and increase funds to build new facilities. Westminster councillor and a deputy cabinet member for sport and the Olympics, Steve Summers, said: “Few councils are in the position of being able to build multi-million new sports facilities in the current financial climate. The new leisure facility will have a 25-metre swimming pool, eight court sports hall, health and fitness facility, exercise studios, a health spa plus boxing and gymnastics halls. Andrew Telfer, CEO at Regen, said: “I am delighted to be working with Westminster City Council on this exciting and ground-breaking scheme. Planning to create 27,000 jobs, the 872-acre development planned for the Swanscombe Peninsula is bigger than the Olympic Park. LRCH project leader Tony Sefton said: “Our vision is to create a world class entertainment destination, the first of its kind in the UK. Plans to build hundreds of new homes in Sandwell are closer to breaking ground after three housing developers have been named to deliver the scheme. Sandwell Council has selected Kier Partnership Homes, Barratt Homes and Compendium Living to build homes in West Bromwich, Smethwick and Wednesbury. The scheme, partly funded by the Homes and Communities Agency, will see the building of 768 new homes by 2015. The developments will include family homes, bungalows for older people as well as properties for private sale and for social rent. Businesses and jobseekers are set to benefit from the scheme which is expected to generate more than £70 million worth of construction work and create hundreds of new jobs with local employers. The three developers have signed construction pledges to work with local suppliers and the council’s Think Local and ‘Find It In Sandwell’ initiatives which will boost employment and help people in the trades. Councillor Simon Hackett, cabinet member for housing, said: “We’re pleased to announce partners who will help turn our vision for the future of housing in Sandwell into reality. Assad Hamed, area manager for the Homes and Communities Agency, said: “We know through working closely with Sandwell Council that increasing the supply of affordable homes in the borough is a big priority and we are pleased our investment is supporting this.